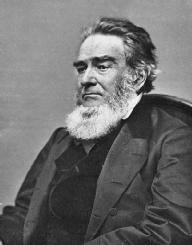 Edward Bates served as U.S. attorney general in the cabinet of President Abraham Lincoln from 1861 to 1864. Bates was born September 4, 1793, in Belmont, Virginia. He left his native Virginia at the age of twenty-one and settled in Missouri, where he concentrated his career efforts. Bates was admitted to the Missouri bar in 1816 and was attorney general from 1820 to 1822. He was also a member of the Missouri Constitutional Convention in 1820. In 1822 Bates began the legislative phase of his career as a member of the Missouri House of Representatives. In 1827 he became a representative for Missouri in the U.S. House of Representatives, serving for two years, and then returned to state government as a member of the Missouri Senate, serving from 1830 to 1834. In 1834 he became a member of the Missouri House of Representatives for a second time. Bates was also a U.S. district attorney from 1821 to 1826. "Liberty cannot exist except under government of law." Bates was an unsuccessful presidential nominee at the Republican National Convention of 1860. He died March 25, 1869, in St. Louis, Missouri.